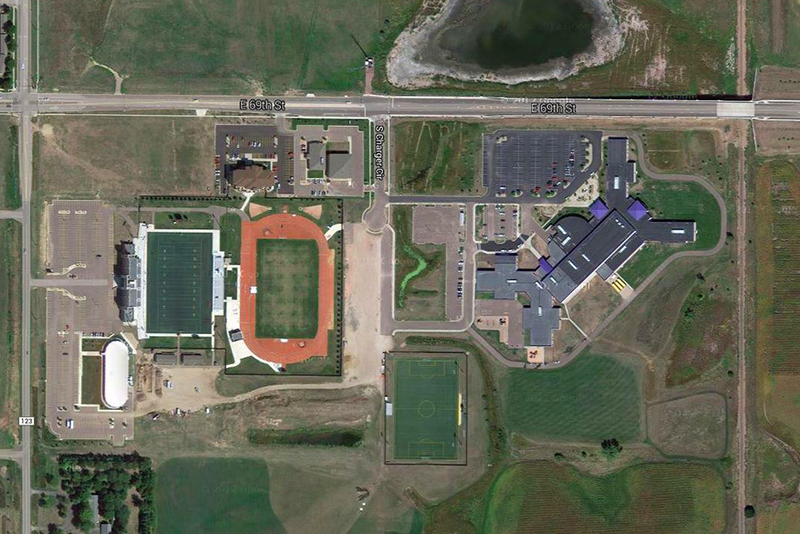 MSH Architects programmed and designed several facilities of the University of Sioux Falls Athletic Complex, including options for future amenities. 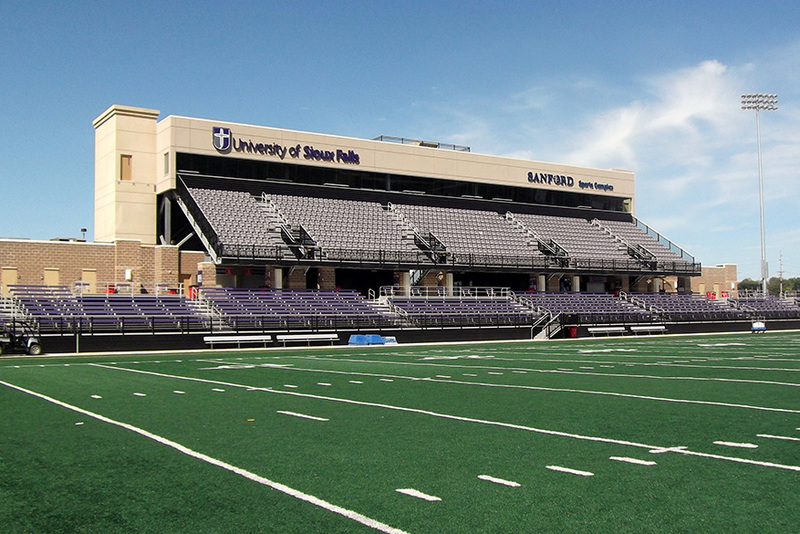 When USF received the funding for their football stadium, MSH worked with the owner for a fast-track design and construction project. The unique grandstands design allows for direct sight lines from the entire concourse concession level to all areas to the field. Upper seating is raked at an increasing angle, bringing fans closer to the action. The press box level houses radio and television booths, sky boxes, and a large hospitality suite for up to 120 guests, all with a sweeping view of the entire campus. This multi-phase project began with a $1 million artificial turf football field. The first field was quickly followed by an Olympic IAAF-certified track with a natural grass soccer field in the infield. 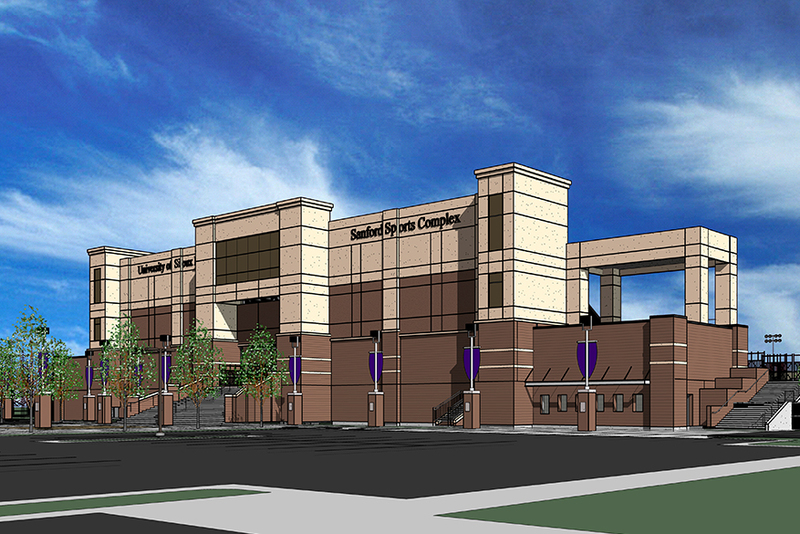 The grandstands, concessions, press box, restrooms, and other sport facilities followed. Recently, a FIFA internationally-certified artificial turf soccer field was added. Future facilities will include baseball, softball and tennis, an equipment storage building, and a 158,000 square foot field house.